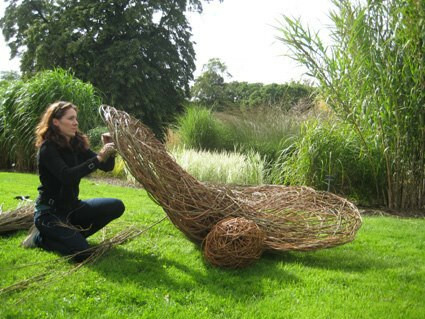 Breda's sculptures were initially created with natural materials, such as willow and found materials. 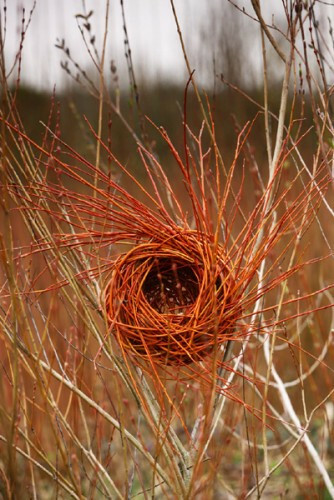 Her style is a respones to the flow and flexibility that nature provides. 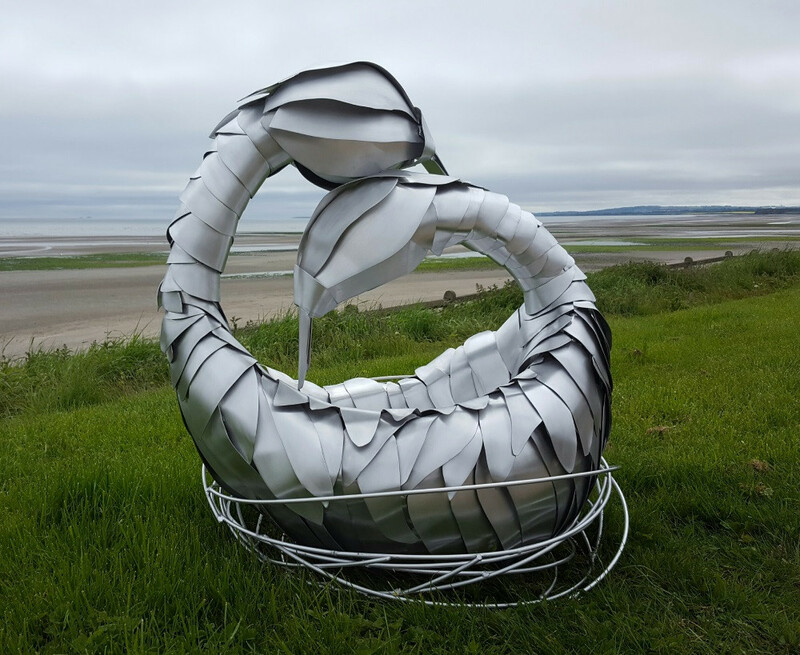 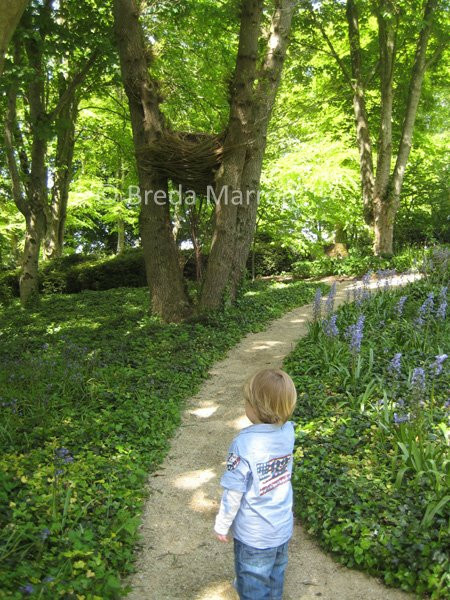 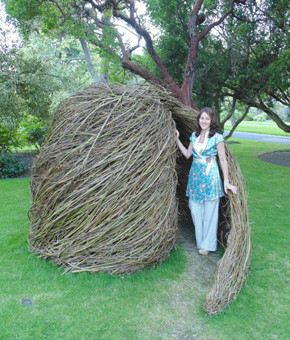 Breda enjoys creating site specific sculptures and installations that are inspired by and in harmony with their environment. 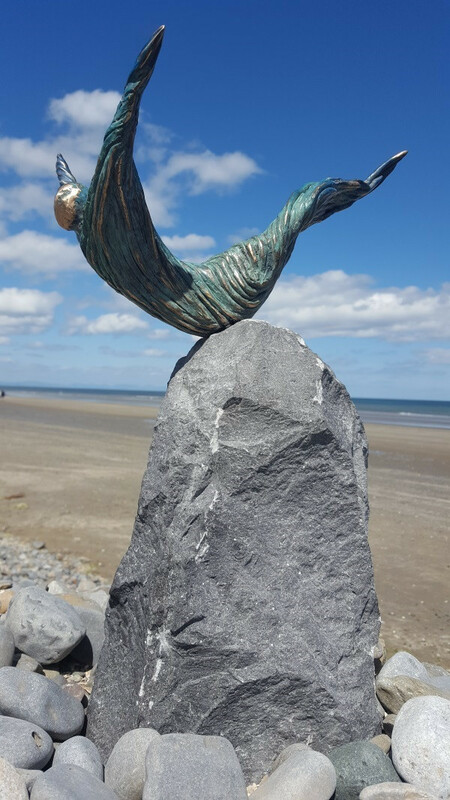 The style of Breda's sculpture work has naturally evolved and expanded through the exploration of a variety of mediums such as bronze, stone, wood, metal and perspex. 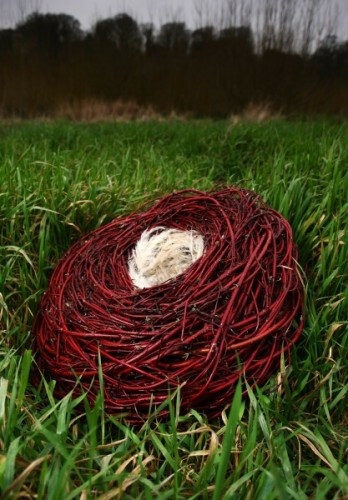 Each material has it’s own unique way of working, responding and connecting with the creative energy, to breath new life into each piece of art. 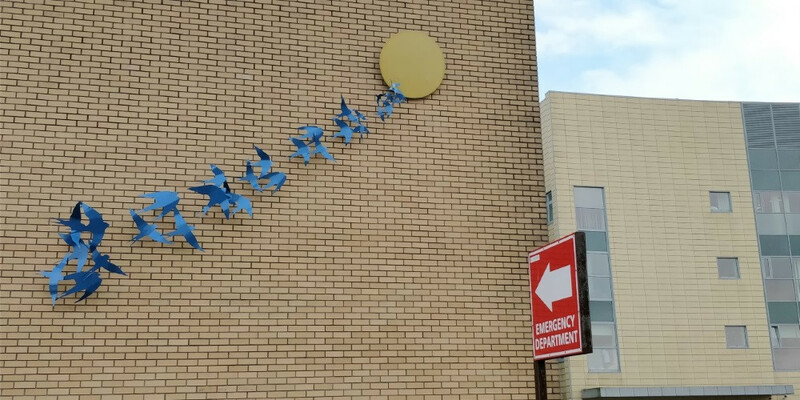 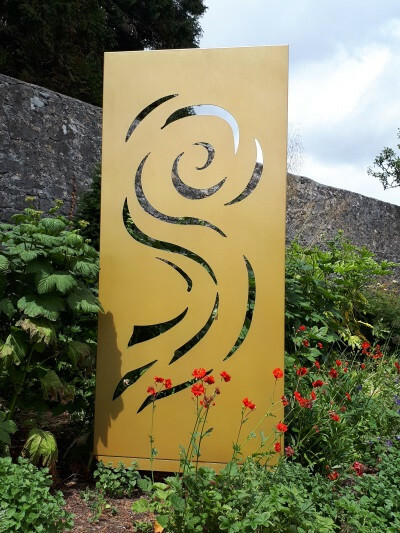 'Welcome Arrival', Percent for Art Commission, Drogheda Hospital, Co Louth. 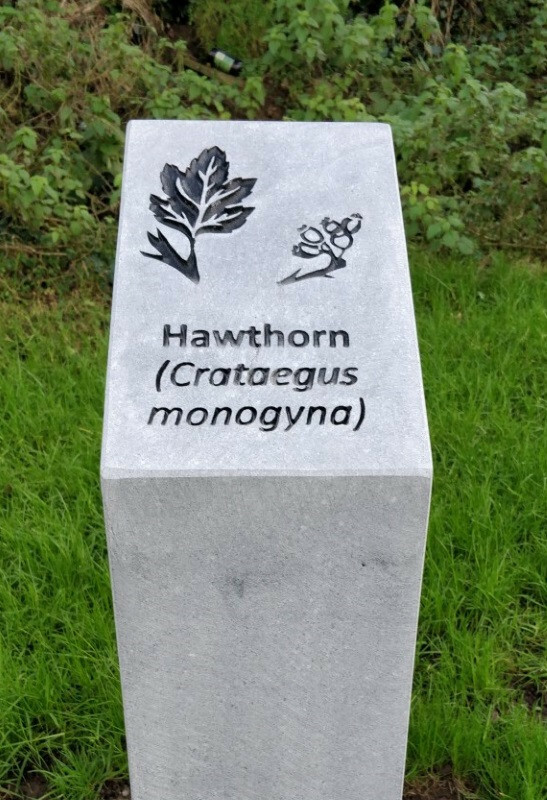 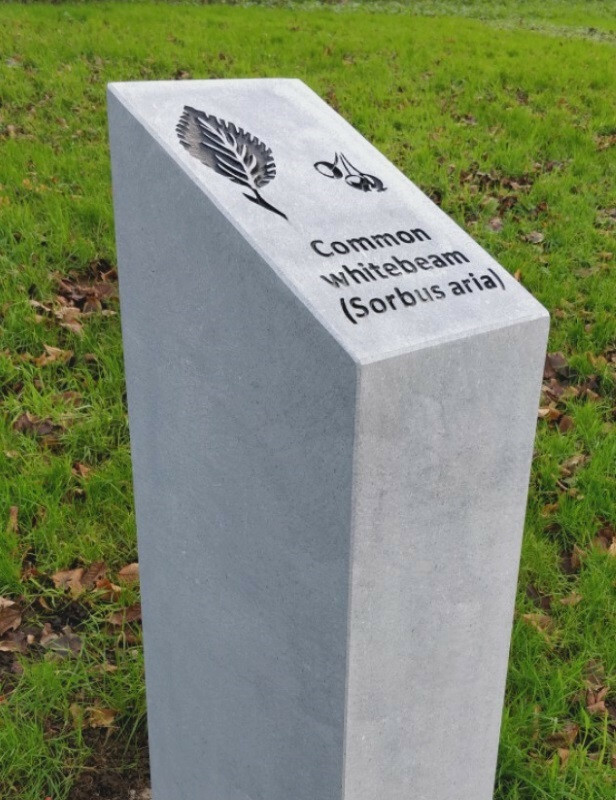 Tree Trail, series of carved Limestone pieces, Buttergate Park, Drogheda, Co Louth. 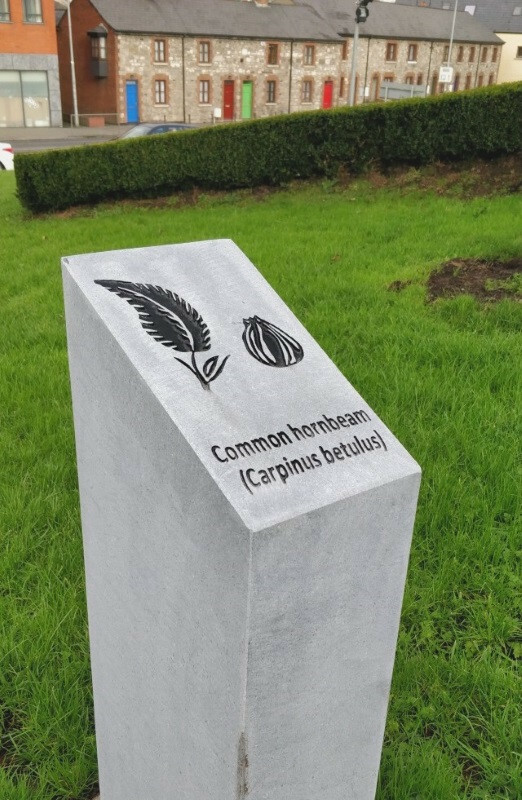 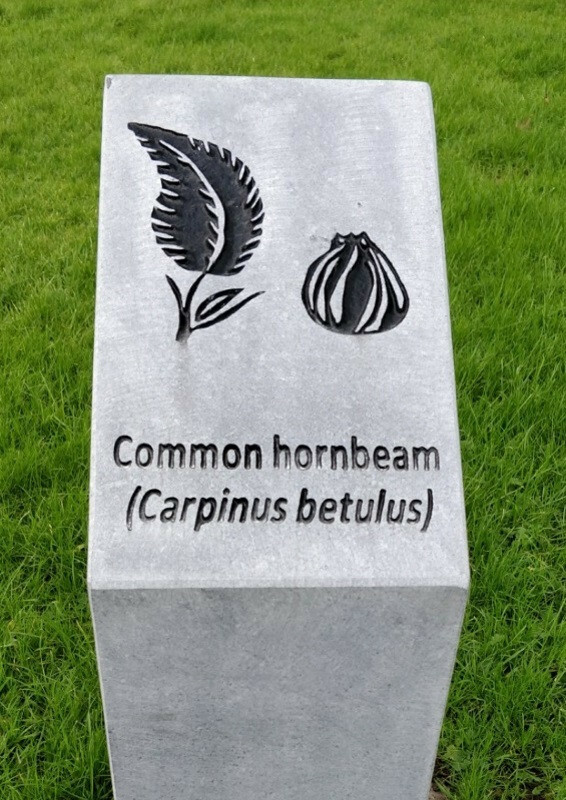 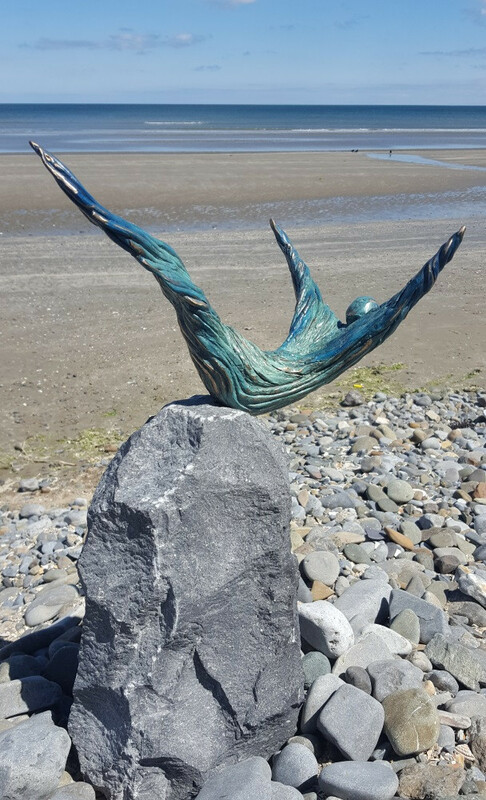 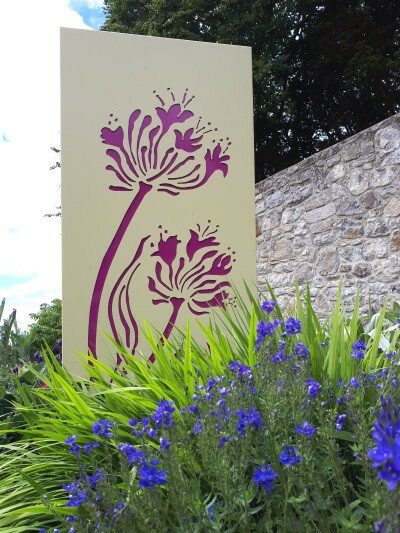 'Wings to Fly, Roots to Return to', Percent for Art Commission, Interactive metal sculpture, mural and sensory garden, CBS N.S, Dundalk, Co Louth. 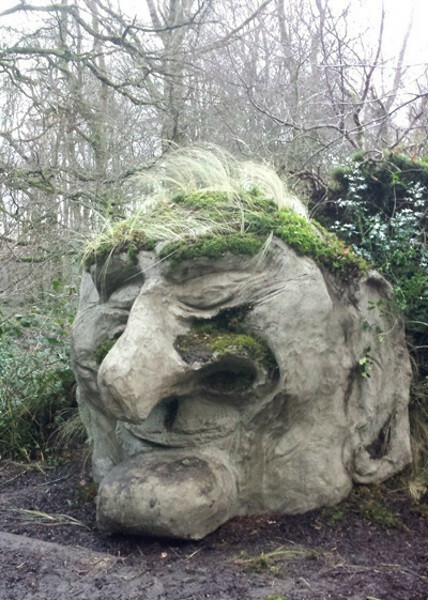 'Giant's Lair', Sculpture Trail, Slieve Gullion Forest, Newry. 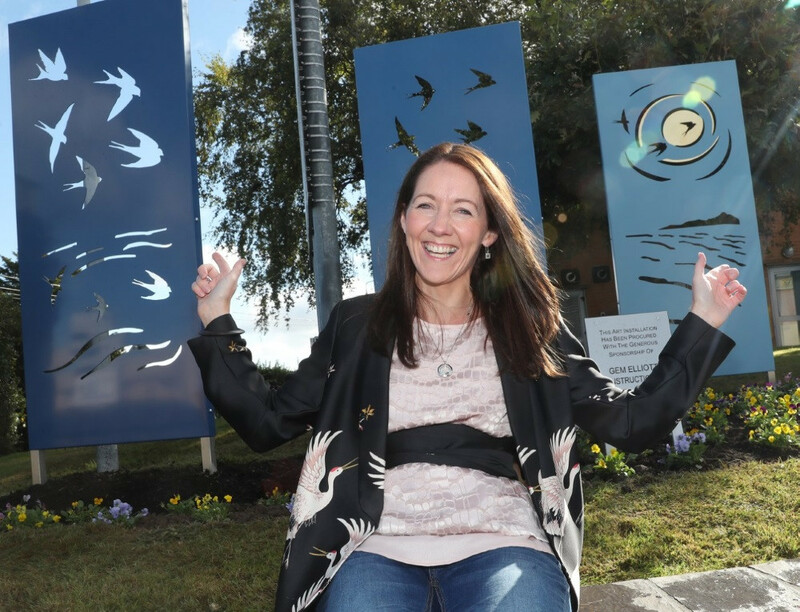 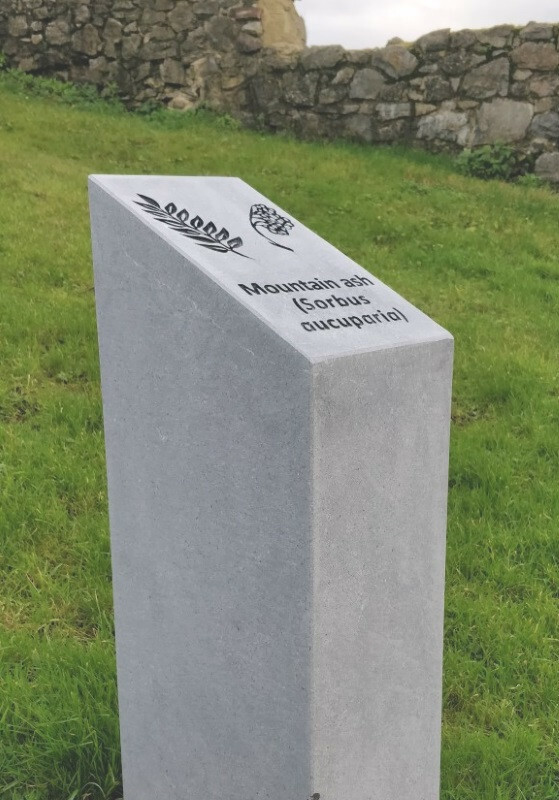 Commissioned by Sticky Fingers Arts for Early Years and co-funded by The Northern Ireland Tourist Board, The National Lottery, Newry Down County Council and The Northern Ireland Arts Council. 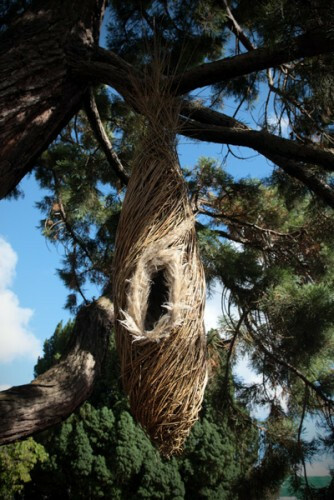 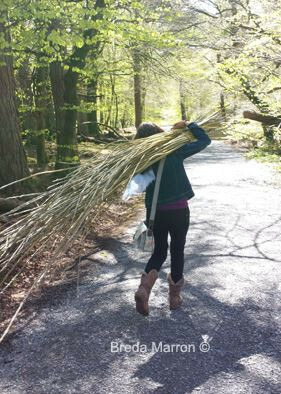 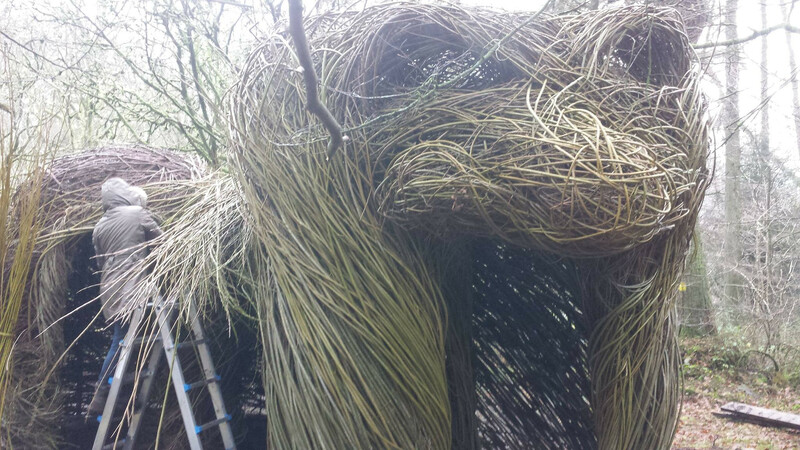 Outdoor willow sculptures, Blanchardstown Institute of Technology, Dublin. 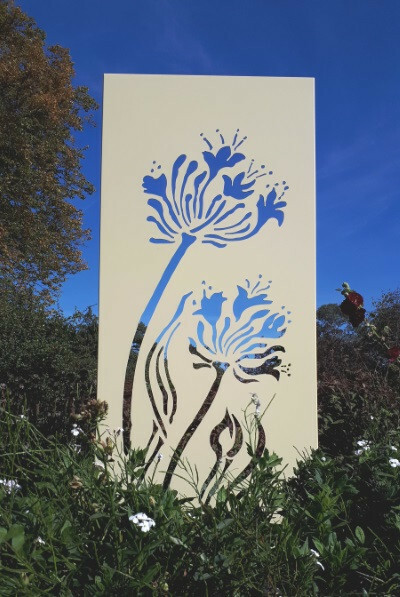 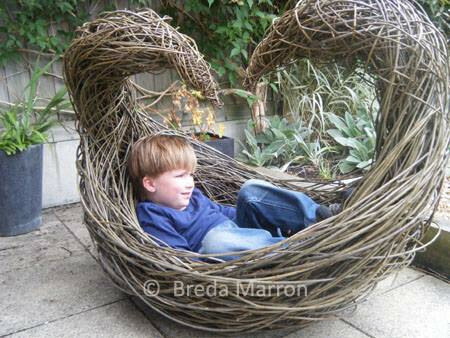 Breda has been commissioned to create many outdoor sculptures for Schools and Educational settings. 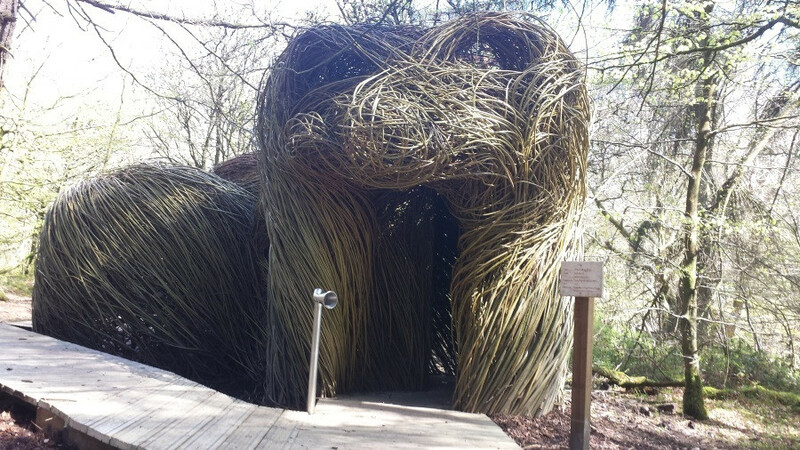 The school sculptures provide an interactive opportunity for students to connect with their environment, nature, their creativity and a sense of fun. 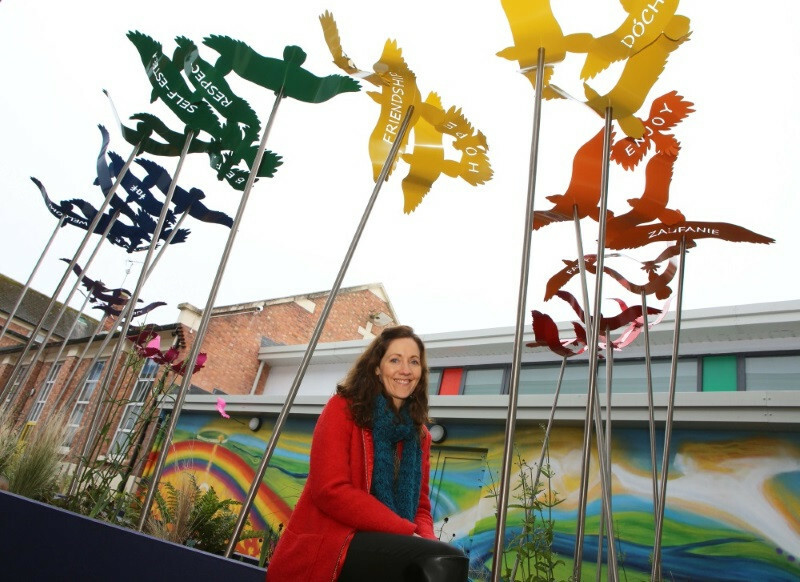 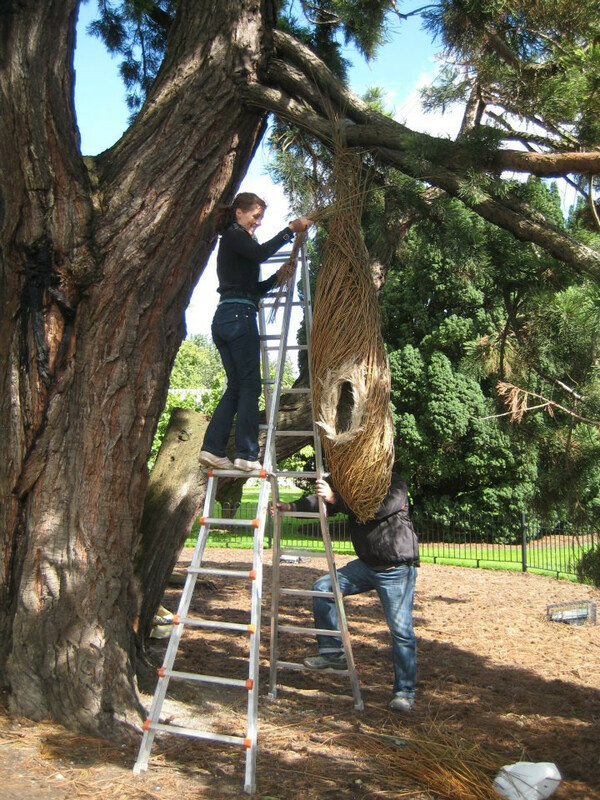 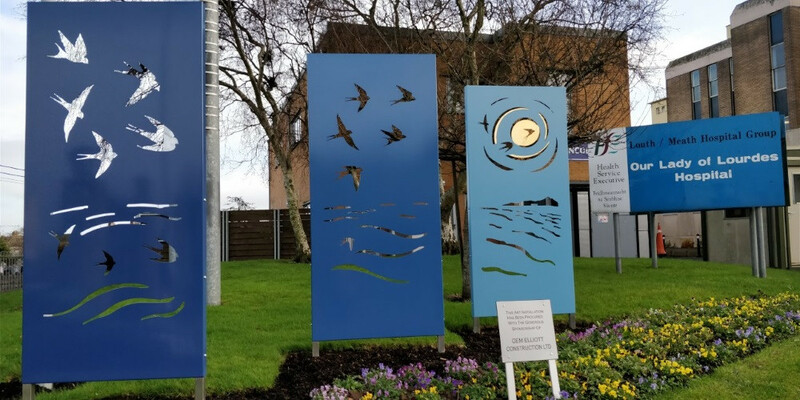 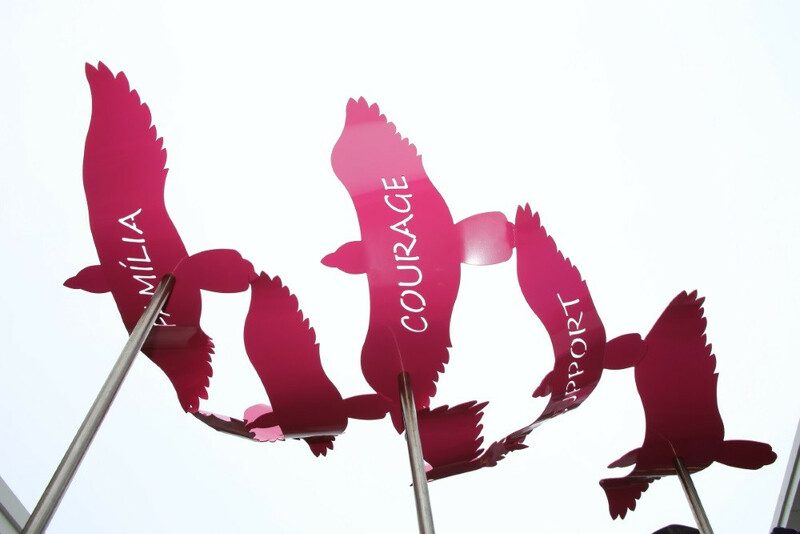 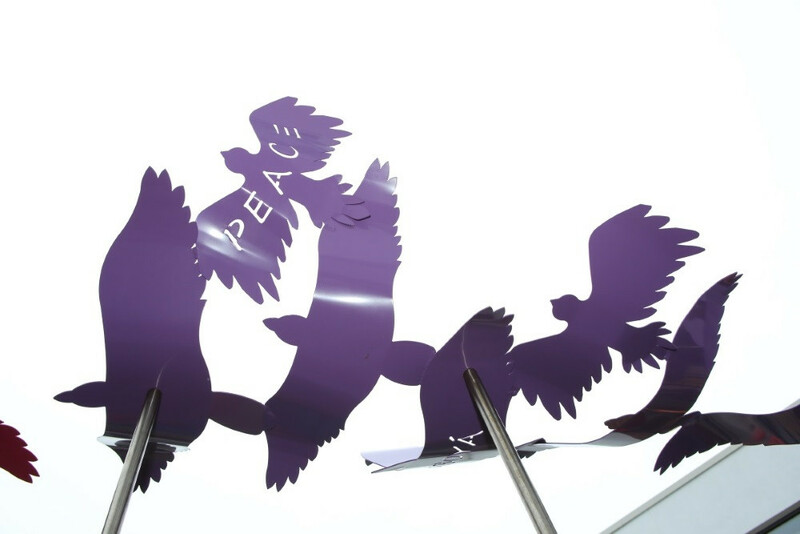 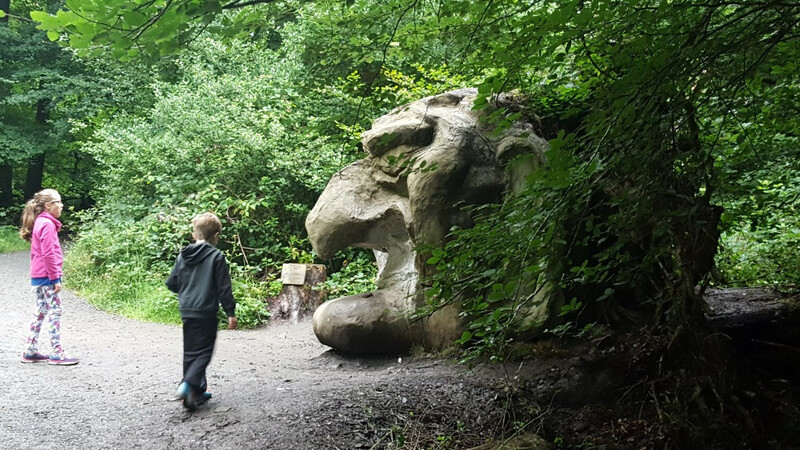 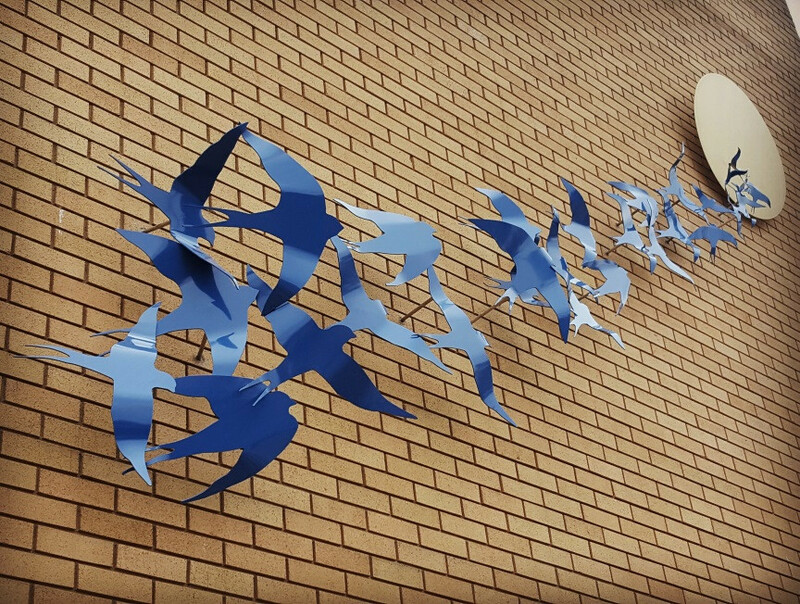 To contact Breda to discuss options for creating specific sculptures tailored to the needs of your school, community-based organisation or group of friends, click here. 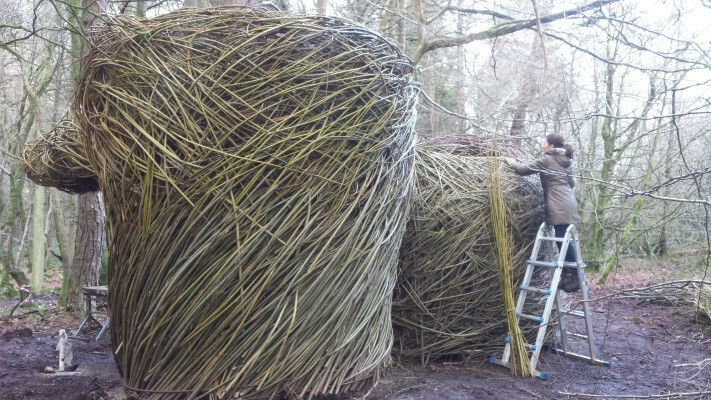 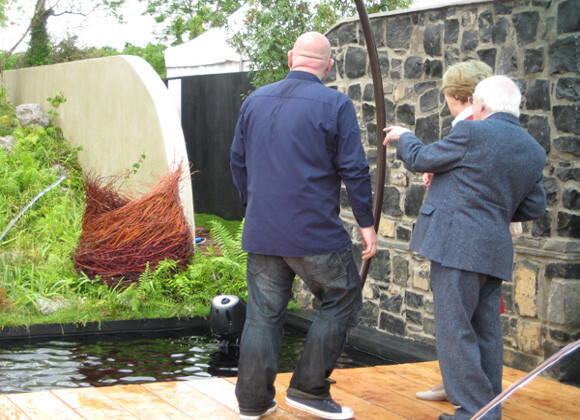 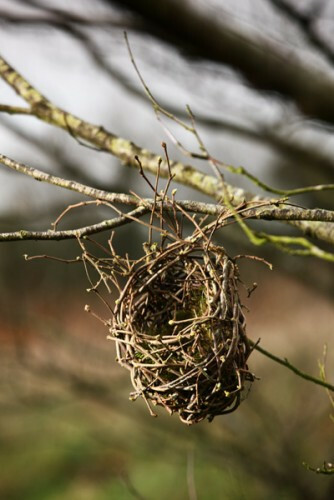 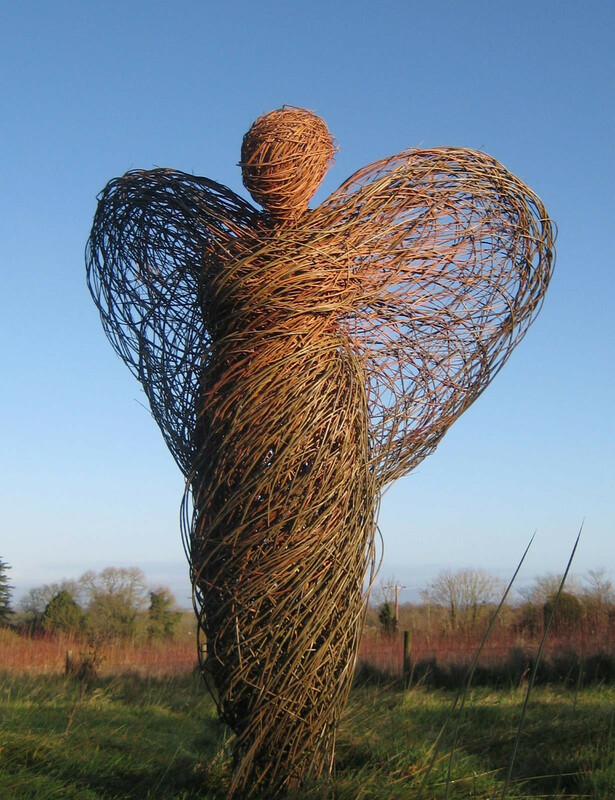 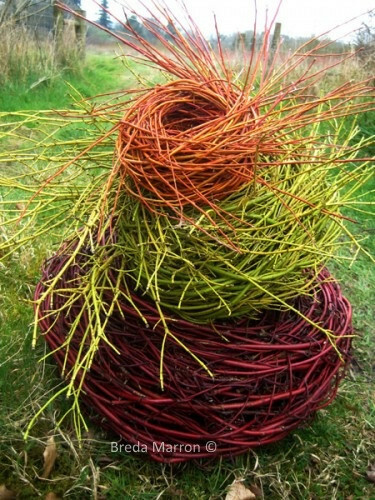 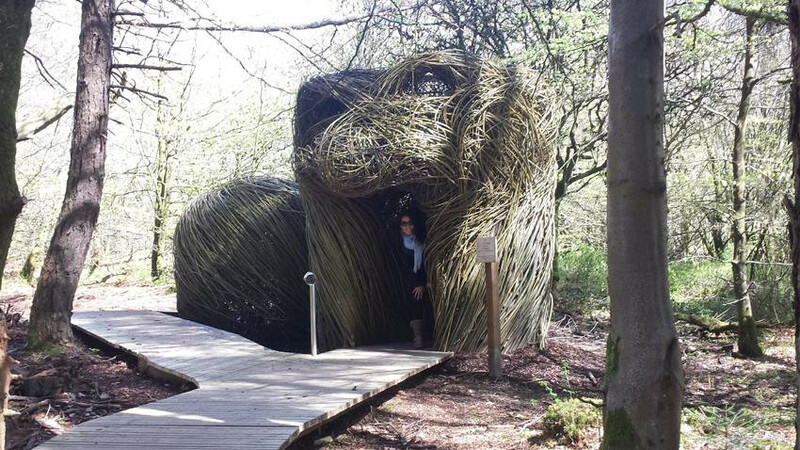 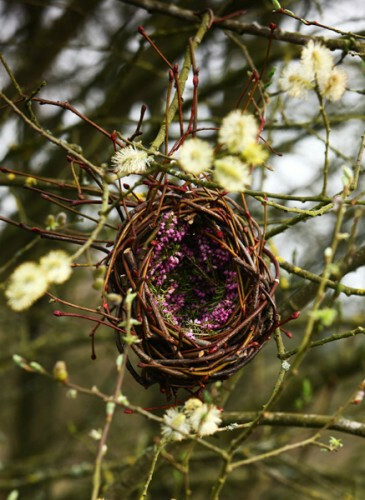 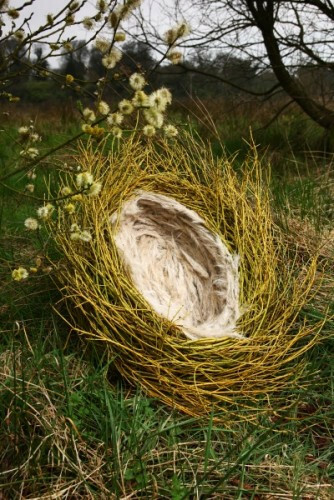 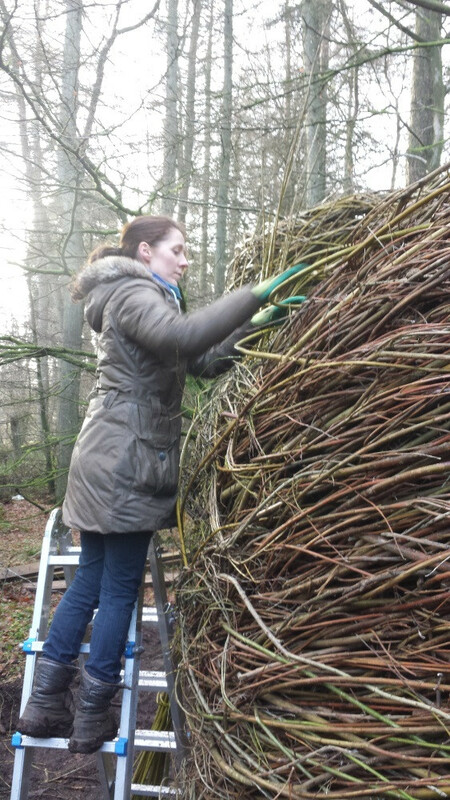 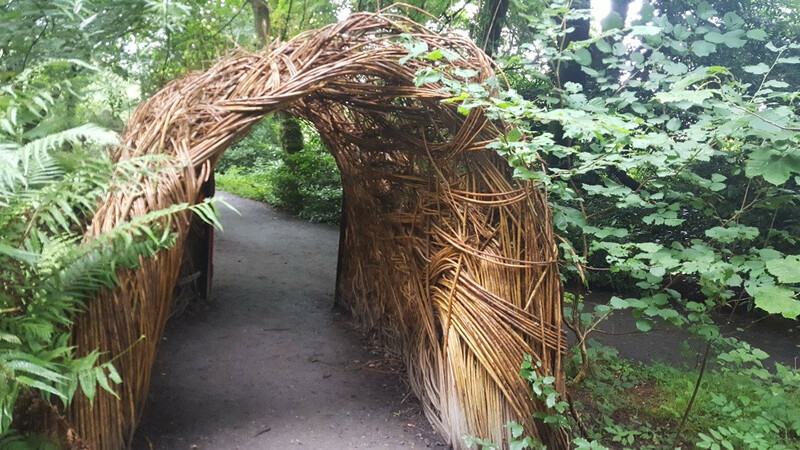 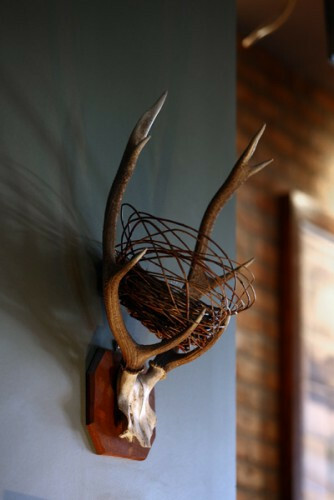 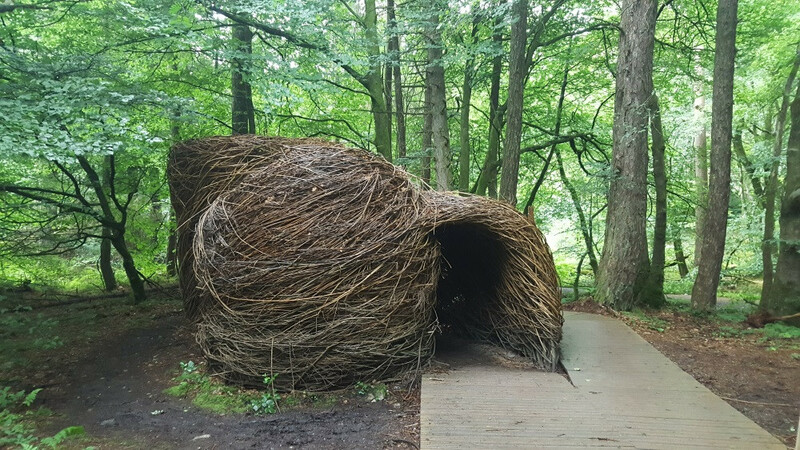 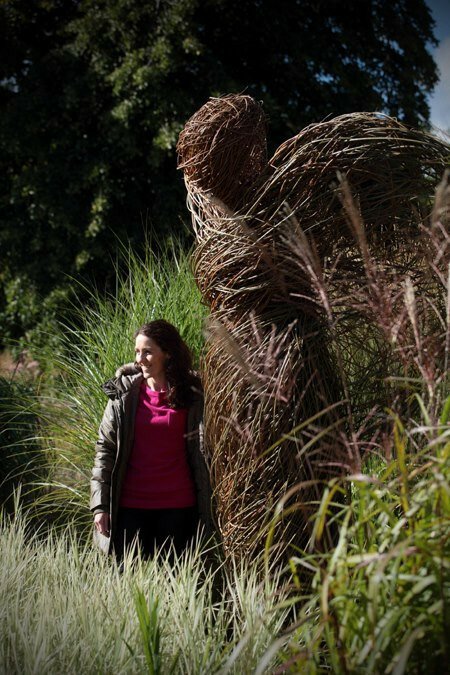 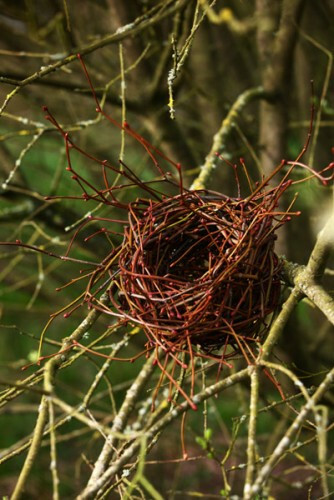 Willow sculptures work with natural materials to bring a sense of being nurtured by nature.